Customize your safety railings with a 24 to 40 inch, Self-Closing Steel Gate. 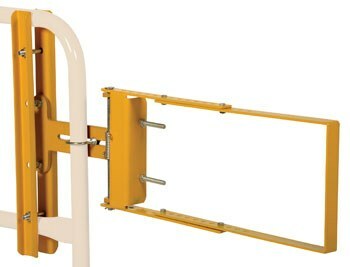 Gate can be mounted from the left or right with the included mounting hardware. Mount to horizontal rails. Yellow powder coat finish. (Railing and base not included.) Meets OSHA requirements.